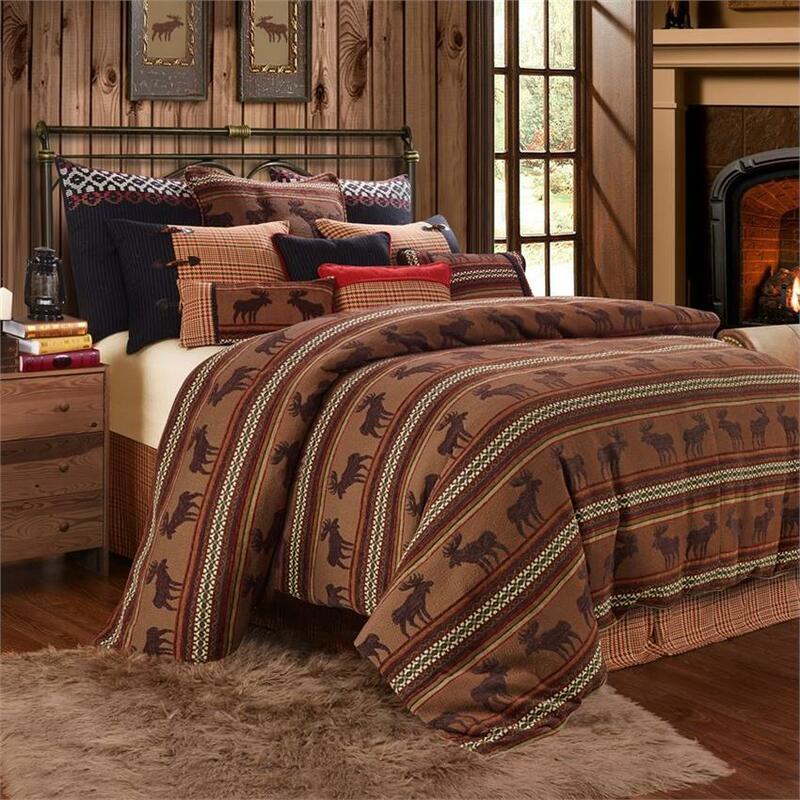 Soft chenille combined with rich earth tones with a silhouette image of a moose to create a beautiful rustic bedding set. A variety of other pillows and accessories can also be added to complete your rustic bedroom. The set includes the duvet, bedskirt, 12x19 pillow and sham(s). 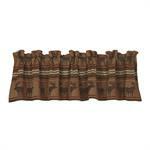 Give your bedroom window a lodge flair with this woven Moose themed valance. 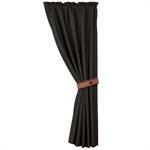 Rod pocket valance Measures: 84x18. This black and white pinstripe curtain with hounds-tooth tie back is the perfect finish for a true lodge style. Measures: 48" x 84" with Tie Back (1).